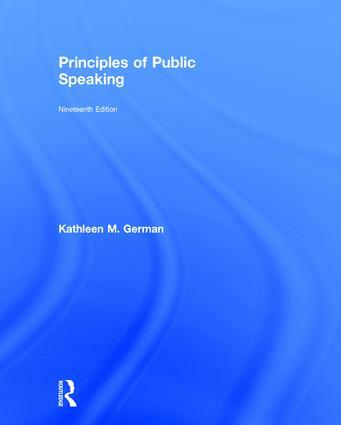 Balancing skills and theory, Principles of Public Speaking, 19th Edition, emphasizes orality, internet technology, and critical thinking as it encourages the reader to see public speaking as a way to build community in today’s diverse world. Within a framework that emphasizes speaker responsibility, listening, and cultural awareness, this classic book uses examples from college, workplace, political, and social communication to make the study of public speaking relevant, contemporary, and exciting. This edition opens with a new chapter on speaking apprehension, and offers enhanced online resources for instructors and students.